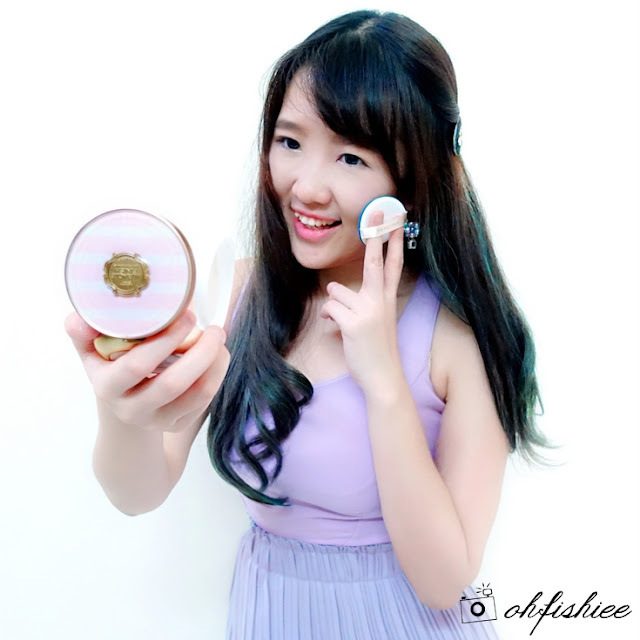 Do you remember the review I did for THE FACE SHOP Miracle Finish Cushion Foundation? After much research and innovation, THE FACE SHOP has now come up with the newest extension to the iconic Miracle Finish line, called THE FACE SHOP Anti-darkening Cushion, to level up our foundation game. So what is the major improvement in this Anti-darkening Cushion that makes me wanting to try it out? It is the brand-new anti-darkening formula that keeps the skin fresh all day without darkening. I think this is a dream come true for cushion lovers like me because I really hate seeing my foundation turning dull, cakey and uneven at the end of a long day. Now I can finally bid Goodbye to Dullness! 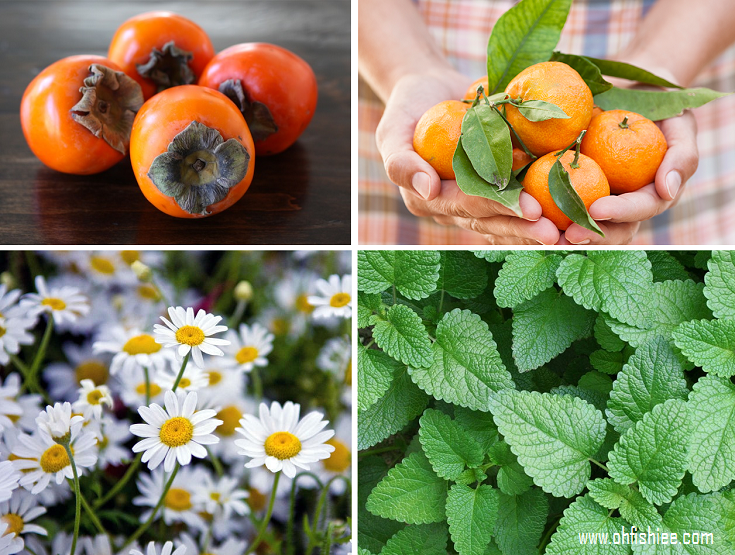 I just wouldn't believe these natural ingredients contain great sebum control and skin relief benefits. For sebum control, Persimmon Tannin and Citrus Unshiu Peel Extract can help block sebum protection and tighten pores through the powerful astrigent effects. To relieve the skin, it uses Chamomile Extract and Lemon Balm for the calming, soothing and stress-reducing benefits. Plus, we all know that chamomile’s anti-inflammatory effect makes it great for curing burns, ulcers, acne and dermatitis. I personally like the lemon-like fragrance form the lemon balm to calm down the emotions and lower the heart rate and blood pressure. Currently available in 3 versatile shades for warm / cool-toned complexions. #N201 (Fair), #N203 (Natural), #V203 (Natural with pink tone-up). In love with the sweet pink outer shell, and gold finish of the case! 3. Repeat Steps 1 and 2 on areas which require extra coverage such as eyes, nose and mouth. ❤ Brightened complexion - No more dark and dull skin! using the applicator and then dab a thin, lightweight layer onto the skin. The coverage is matte, and it is able to cover most skin imperfections with a translucent and radiant finish. Nevertheless, I still prefer finishing it off with loose powder for a more pearly and long-lasting coverage. I am using Shade #V203 because I always love brighter and pinkier complexion that covers my dull yellow undertone :) If you prefer something more natural, then use #N201 or #N203 as the base, then touch up the T-zone and under eye area with #V203 for highlighting effects. so let's bid goodbye to Dullness! One thing worth mentioning is the huge difference from the older Miracle Finish cushions. I am using CC Cooling Cushion #V203 on the left, and Anti-Darkening Cushion #V203 on my right -- Look, the CC Cooling finish is slightly more oily and moist but it gives the skin a healthy glow. Whereas the anti-darkening cushion is equally glowing for the skin but the finish is more matte, less oily and less sticky too. I personally find it easier to finish it up with loose foundation. 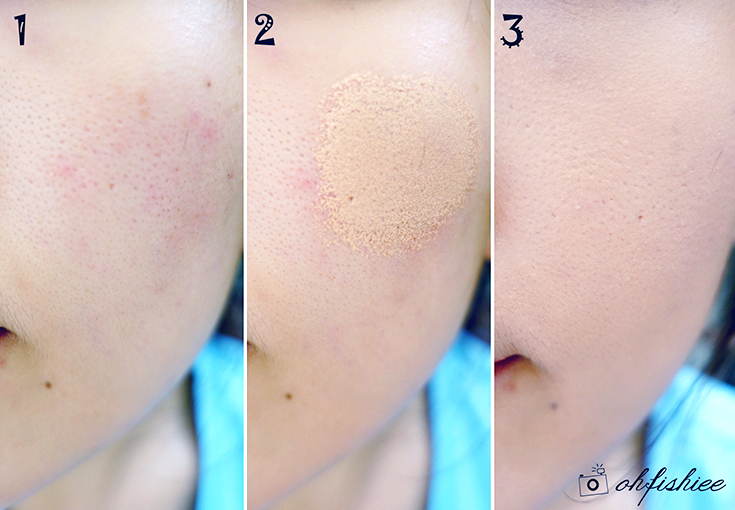 Overall, I find that THE FACE SHOP Anti-darkening Cushion suits lazy people like me :P Because it is super quick and easy to use (No more time consuming, numerous application steps!). On top of that, it gives natural (Goodbye to cakey face after touch-ups!) and lasting coverage regardless of the skin condition. THE FACE SHOP Anti-Darkening Cushion Foundation (RM104.83 including GST) is available at all THE FACE SHOP outlets nationwide and THE FACE SHOP online store. I want to see fans. Please advise... if i pat it lightly (referring to anti darkening) the result is like my pores are filled with white something and I feel like I need to rub is and spread on my cheek. or this anti darkening is not for me? one more question, what are the signs the we need to replace the cushion or we need to refill?